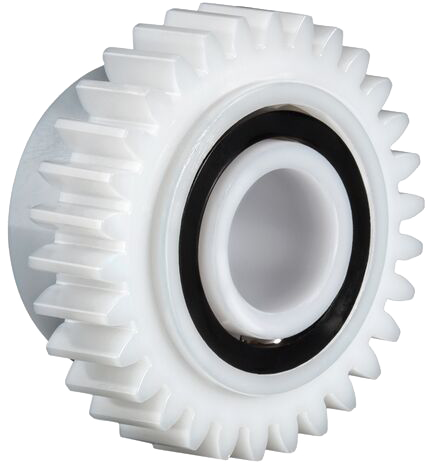 Many times a bearing is mounted into another part, such as a plastic housing, pulley, sprocket, wheel or a mounted block. 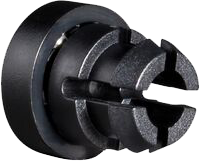 Utilizing the design concept of an integrated plastic ball bearing, KMS Bearings, Inc. can integrate the mating component for use as the raceway of the bearing, i.e. : pulley as the outer ring, or the shaft as the inner ring. The end result is fewer parts, reduced assembly time and overall lower cost. 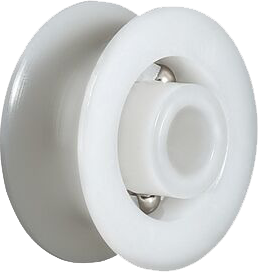 See Custom Bearing Showcase for examples of actual integrated plastic race ball bearings that illustrate mounting features such as pulleys, fixing clips, snap in design etc. They were all manufactured for a specific application and provided solutions to many design challenges. Call 1-800-448-2412 or go to Application Review and a KMS sales engineering team member will respond within 24hrs with a KMS bearing solution.